Eclectic Musings of David: Rover's heat shield and metorite. 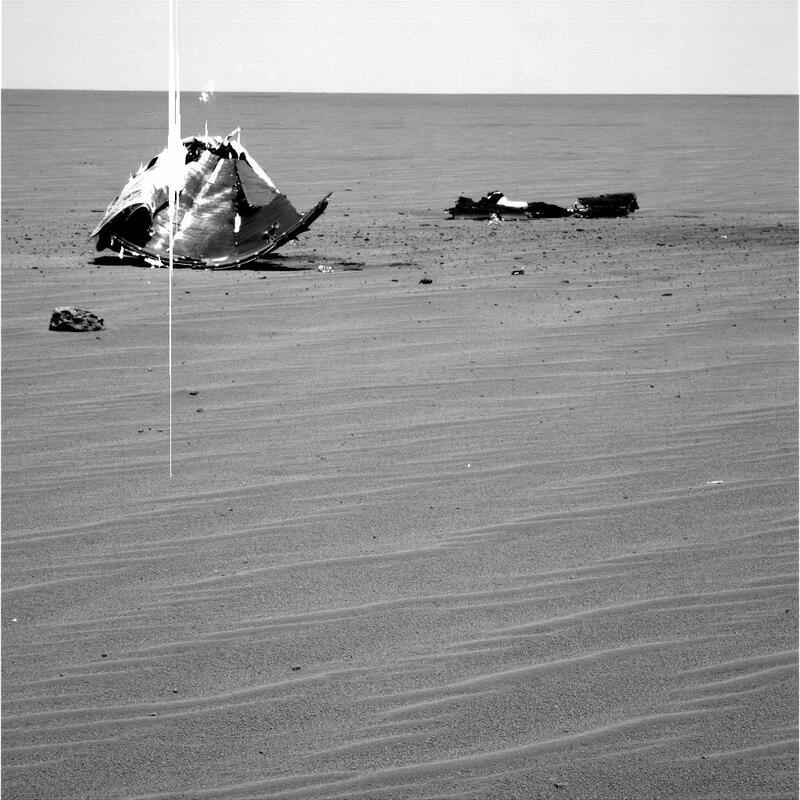 This picture, taken by the Mars Rover Opportunity, show's the rover's discarded heat shield on Meridiani Planum. Next to it is a rock that is believed to be meteorite.The picture was taken in 2005. Photo Credit: NASA via Astronomy Picture of the Day for 31 July 2011.